Launch your favorite writing tool and then you’re all at once hit with a blank screen. You start searching for ideas but nothing comes. You take a sip of coffee and then look out the window for a few minutes. An idea comes but you immediately feel like it’s no good and not worth writing about. Whether your a blogger, marketer or content writer we have all had this happen at some point. We hit “that” wall. “That” wall of having no idea what content to write about or what you think your readers would enjoy doing. We have compiled a list of ideas to help jumpstart your brain for content ideas. This could be any type of news that your field has. For example, if you are a lawyer, you can talk about a law that was recently passed or maybe a lawsuit that’s in the news. If you are in the entertainment industry and a major announcement was made then talk about that. Look into your industry and see what the most recent event is going on. What new product or service are you offering? Do you have a special deal going on? Blog about it! Are you going to be doing a giveaway? Then blog about that. It’s always fun and exciting telling your audience what new product or services you are offering. Ask a company if you can review a product for them. I have done a few review posts on my blog and it has really helped grow my audience. People are interested in what you like/dislike. It’s important to be honest though and not just give good/bad reviews to increase your traffic. Did you just make a gorgeous hair bow? Running costume? Chicken coop? Or other nifty project. Create a tutorial! I can’t tell you how many people surf the internet looking how to do things themselves. So, this is a fabulous way to take a break from your business blogging and do something that will be interesting for your readers. So, how many times have you failed? Probably at least once? Right? How did you bounce back? What did you do to bounce back? Tell a story about how you overcame an obstacle and you can even tie in how your business came about or grew because of that obstacle. Include some of your favorite inspirational quotes that really motivated you to do better. These are always so successful! Host a giveaway on your blog and it will be sure to drive up some business! It’s also fun to put in some silly pictures of you and the item you are giving away just to show a fun side of you. There is a time to be professional but we all like to have fun so this is a great way to show your fun side. Don’t know what to blog about? Write a list? Are you reading this list because you don’t have any ideas as to what to blog about? Think about something related to your business that you could use and create into a blog post as a list. It could be Top 10 ways to save money. How to purchase a home for cash. The possibilities are endless on this one you just have to think outside of the box. Ask your guests to submit a blog post! Tell them the guidelines in your first blog post, and then ask for them to e-mail you submissions! What are some little or unknown facts about you and/or your business. What is something that most people don’t know about? Use this blog post as a tell all for some interesting facts. If you are interested in trying this it can be fun! Just take a video about you and talk a little bit about your daily life or your business. How do you conduct business day in and day out. This is a fun way to do a “reality show” via your blog! This could even be done in separate parts and spread out over a couple of weeks. Common Mistakes in your industry/life/world/etc. Make a list of some common mistakes that are done through your industry/life/etc. and showcase how people can help prevent these mistakes. For example, say you are a blog about saving money, a common mistake would be not going to the store without your list/coupons/deals in hand and just going on a whim. Talk about how to help prevent that. How would you prevent that? I briefly touched base on this with the Vlogging, but if you can do a series of posts throughout the year it will definitely help you in your rut. You will have something to post each week and posting at least once a week is great! How many times have you been asked the same question over and over again? 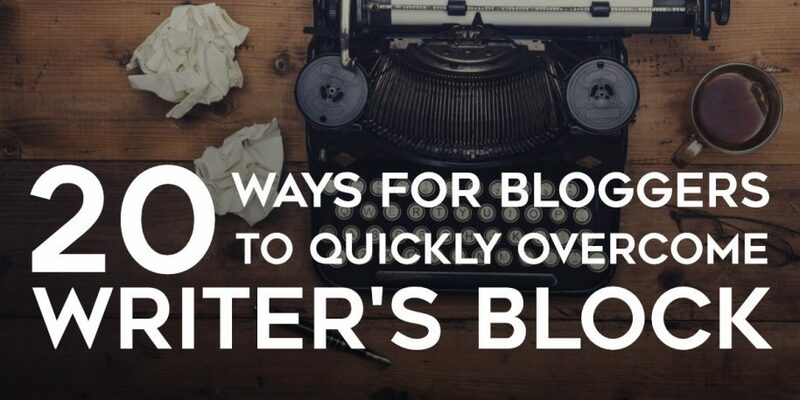 Write a blog post with your Frequently Asked Questions. This is great for your readers to refer back to and know the answers to questions that you answer on a daily basis. Showcase a blog that features all of your favorite tools that you use in your business and your personal life. Be sure to include links so that your readers can check them out as well. Celebrate your employee, blog, or business birthdays! It’s great to do a shout out and look back on how long they have been around. Where is your industry headed? Is it being outsourced? Is it fixing to blossom? Talk about where the industry is headed in the future and discuss what you hope to see improved. This is ever so popular with the videos on Facebook and YouTube. Talk about how to make life easier for others. If you have a niche and know how to make something easier in your niche write about it, post a video about it, and share it across multiple social media platforms. I have briefly mentioned these above but think about experts in your industry or influential leaders in your industry and see if they will allow you to interview them and post the interview on the blog. This is great and informative for you and your readers. I hope that this list has ignited your ideas for blog posts. If you know of one that wasn’t listed we would love to have you comment below with the idea! Let’s help each other out with ideas to make our blogs great!